When you first hear about it you will say – how is meditation related to conflicts? If conflicts already exist, they need to be resolved, nothing will progress if we all sit down and close our eyes. But sometimes even 15 minutes with our eyes closed can make a huge difference. Below are two ways in which meditation can help in conflict transformation. 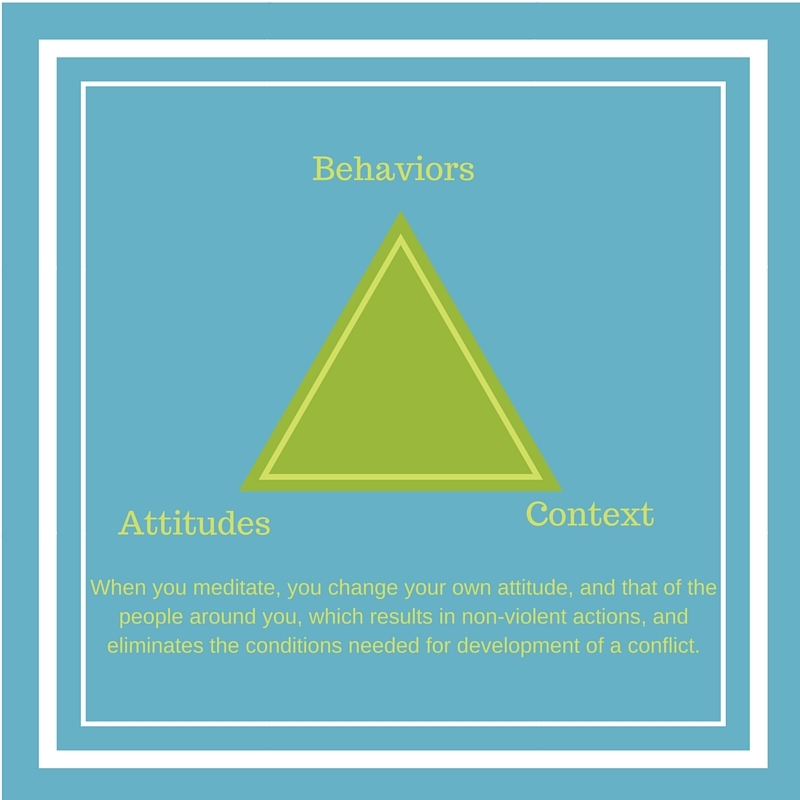 If you look at the conflict triangle by Johan Galtung, you will see that conflicts do not appear out of nowhere. 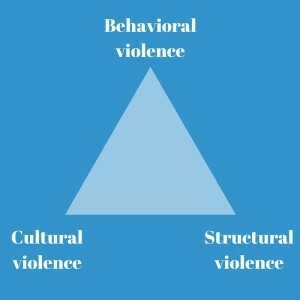 Special conditions should be developed for the conflict behavior to appear – cultural and structural. 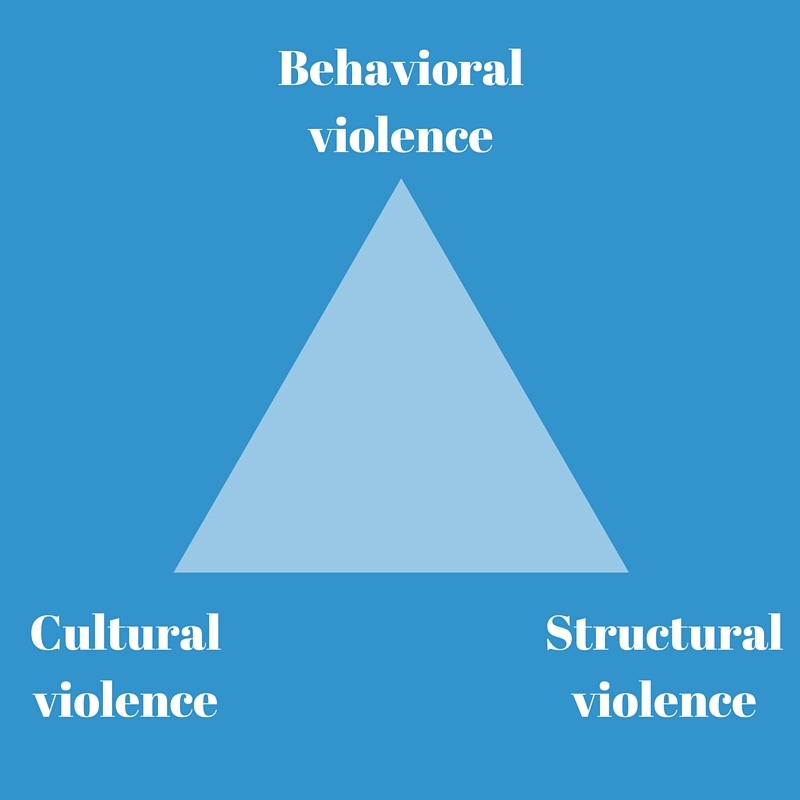 And once the actual conflict (direct violence) is the obvious top of the iceberg, the cultural attitudes and the political problems are the hidden conditions that lead up to it. In a conflict, the violent behavior we see has its roots in people’s attitudes and the political-economic context. By changing our behaviors and attitudes, we can prevent conflicts, and meditation is one of the tools for conflict transformation and prevention. It raises awareness in society on how we function as a whole, and decreases the fear, which is the main cause of many unpredictable actions. Meditation creates harmony inside a person, which is later translated into outer harmony with the community, the nature and the world, and this automatically eliminates cultural and political conditions that create conflicts. If solving a conflict takes a lot of time, say there is a divorce case in court that has been in for 2 years already, meditation can be a part of the solution. If both sides started to meditate, they could develop better understanding of themselves and others, better concentration and would be able to find a compromise solution that would satisfy both. Moreover, meditation makes you more peaceful and cooperative, and you no longer feel like protecting yourself by hurting others, vice versa, you feel like sharing with others for the better common reality. No wonder the members of the British parliament had a group meditation in one of the meetings, and some of them continue meditating weekly. Meditation improves teamwork and mutual understanding.